If you think Masonry is bad you should check out Steel! I see three things but...the yellow straps. Careful, we want this thread to last. Lol, you GOT to be kidding me. Maybe if I said it was tony and his buddy Jim out target shooting then ? Yes, I was kidding you. 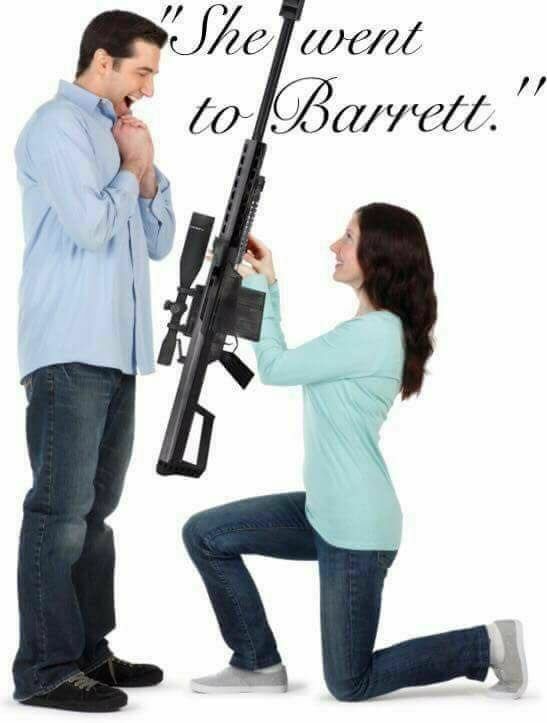 So THATS why she went to Barrett! This has already been discussed here before. @TGO David says no threads like this, no reason for it on TGO. And I agree with him, not that it matters, his house, his rules. Have fun until he wakes up and checks the forums, I guess. They say it as if it's a bad thing. Just seen this video making the rounds on facebook - it's about millennials. Jeb48, I am sooooo gonna steal that.